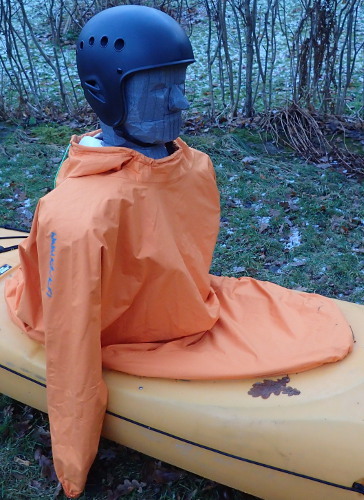 Lightweight waterproof anorak for kayaking. 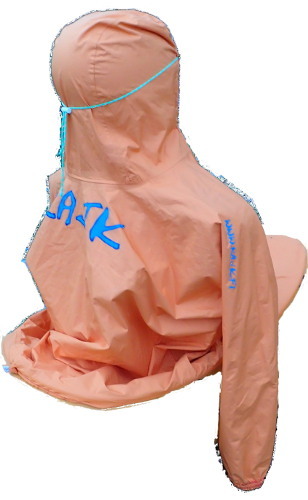 Tuiliks allow air to move freely in the cockpit, while still protecting you from wind and water splash. 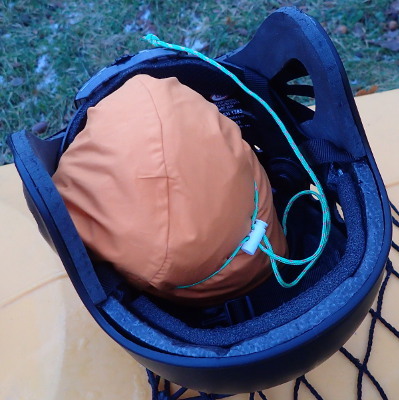 With the hood string tied behind you head it is snug around you face. Pull it over your helmet and keep on going - warm and cosy. Seams are taped to keep water out. Pockets, zippers and more snug fit is possible. The measures of this version allows for rolling forward, layback and sideways. Keep it in your day hatch to quickly add warmth if weather changes, or when stop for a shore break.